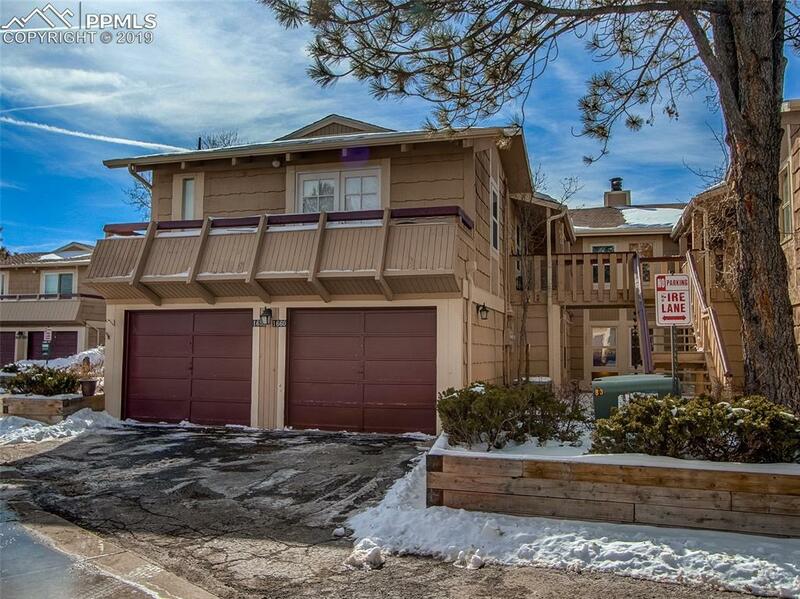 Rare spacious ground floor condo with views of Lake Woodmoor and finished walk-out basement! Living room features exposed brick accent wall, wood-burning fireplace & wood laminate flooring and walks out to covered deck overlooking the lake. The open floor plan includes bonus space perfect for office area or reading nook and a bright dining room with wet bar. Master suite has adjoining bath and walk-in closet. Main level is completed by 2nd bedroom with built-in shelves & walk-in closet and full hall bath. 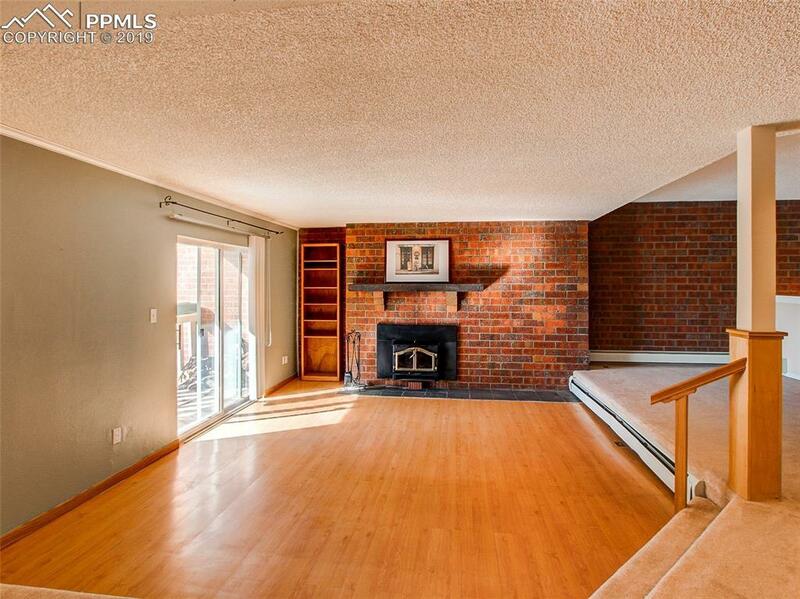 The huge family room in basement has brand new carpet, tall ceilings and walk-out to patio & greenspace. 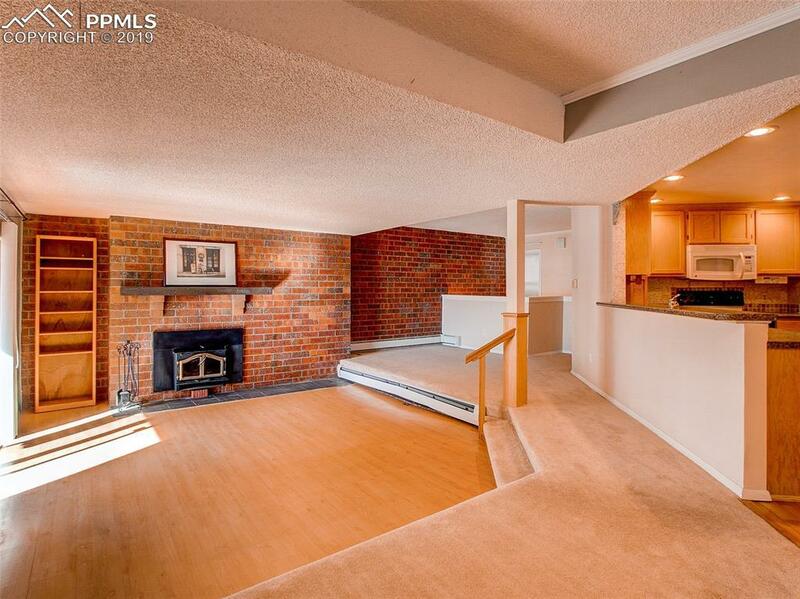 The basement is ideal for guests or independent living with a large bedroom and updated full bath. 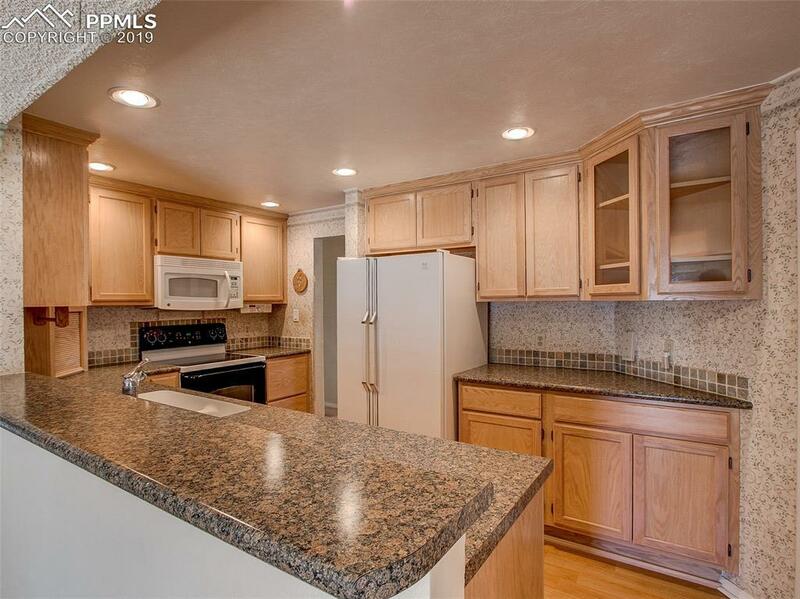 Affordable living in desirable and convenient Monument location! Listing provided courtesy of Blessings Realty.